The XWT insulation is a polyethylene tape with a self-adhesive backing. It is used when installing windows at a depth of V. The tape acts as a filler of the narrow gap between the window frame and the roof. 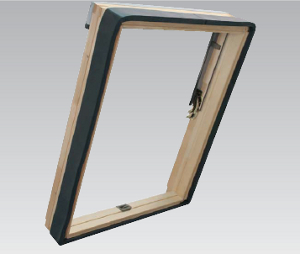 XWT insulation makes effective insulation of Fakro windows easy and reduces the possibility of thermal bridging. During installation, the tape is pulled over the window frame. Note: the tape has a rim that prevents it from being pulled too far over the window frame.